God will meet you personally in your garden… and in his. Throughout the Scriptures God has revealed spiritual truth in the language of growing things. This Bible will take you into a deeper relationship with God through the contemplation of soil and soul. The NIV God’s Word for Gardeners Bible will inspire you to seek God in a personal way through informative essays, devotional readings and prayers that explore the nature of the gardener’s work, the rewards of gardening, the influence of seasons and weather, and the joy of the harvest. In this Bible you will also find botanical-themed pages containing horticultural information for the prominent plants noted in Scripture and landscape-themed pages highlighting the main gardens and regions in which the events in the Bible took place. Draw near to the One whose garden is planted with delight—in you! -Special sections on the Garden of Eden, the garden of Gethsemane and Jesus the Vine. Shelley S. Cramm is a suburban housewife who has found the Word of God to be completely useful and practical in her everyday life—not to mention delightfully fun! 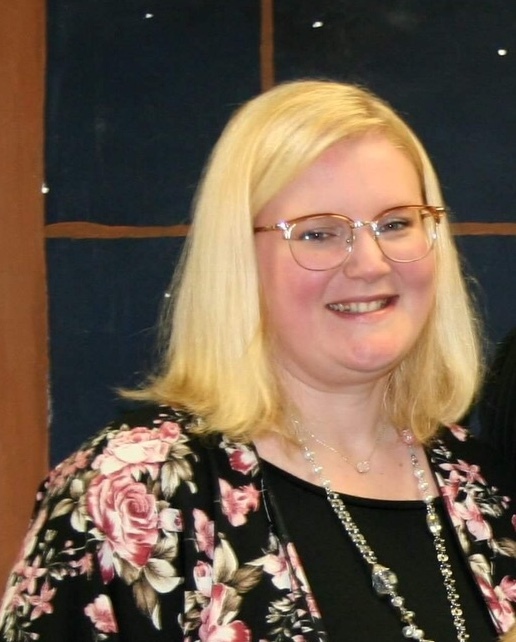 Her background includes a career in architectural and garden design, as well as involvement in local Bible study groups, Moms in Prayer and Moms of Preschoolers ministries. Inspiration to write a gardener’s Bible grew out of a routine of morning journaling and an enduring hope to finish up the laundry and go out to the garden. Shelley and her husband Topher have five children and live in Irving, Texas. A great resource for anyone who is into gardening!!! I was so surprised by the wonderful variety of devotionals throughout the Bible. I thought they were so creative! The GARDEN TOUR devotionals take you through all of the various gardens in the Bible- probably a few you haven’t even thought of! I also loved the GARDEN STORIES, GARDEN WORK and GARDEN TOOLS devotionals- they are very very applicable to daily life! The layout of the Bible made it super simple to find exactly what I was looking for and guided me easily to the next devotional I was following. Bible verses relating to grief were easy to find. If you love all things gardening or simply need a reprieve and desire to escape to the shade of God’s garden….don’t miss this one!!! Next Post NOAH WINNER ANNOUNCED!!!! 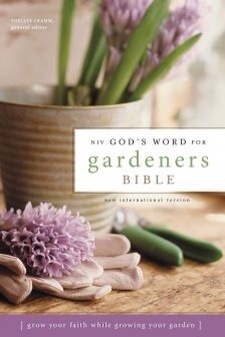 If my Grandma needs a new Bible I definitely plan to get her this one since she’s a gardener! Thanks for sharing your thoughts JoJo!